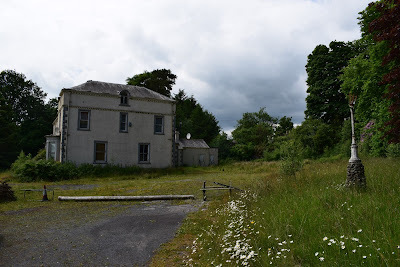 I had a couple of emails after my post about the semi-derelict Lochanhead House (here) which warranted an update. My spider sense tells me there's a bigger, sadder story here. 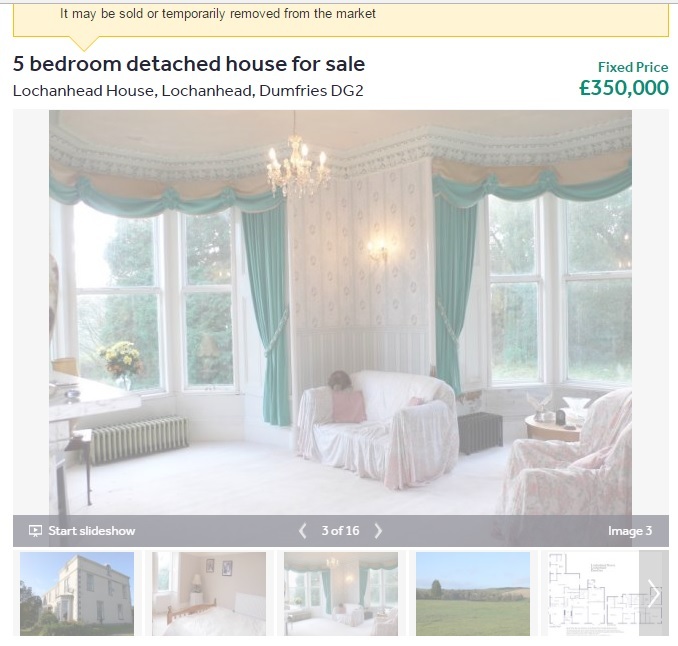 The owner of Lochanhead is an elderly lady who has given directions that only a cash buyer can view the house - we have tried to go and view several times...but excuses have been made as to why we couldn't, with the last being refused as we are not cash buyers. We were hoping to go and survey what work needed done but that hasn't been possible. She notes that five years ago, when the property went onto the market, the building still had all its windows and roof so dereliction has been "quite quick". Jane made a similar comment in her email, pointing out that ion 2011 the listing on Rightmove showed a rather lovely interior; "I can't imagine what has happened to it in the last five years." It's loss cannot be re-provided. Lochanhead House is a prominent local building, highly visible from the A711 road and well known locally...No evidence has been provided that this significant and traditional building cannot be restored. It would be a grave and regrettable loss to the area for a building of this nature to be demolished. Food for thought given the estate agent's suggestion that any buyer should consider demolition and rebuilding. Let's go a bit further back. 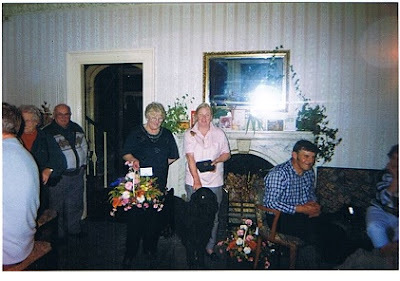 Anne worked in the Lochanhead House Hotel, Lochfoot for a few years then in 1989 she took over the lease and with the help of Betty ran it as a hotel, bar and guest house for 9 years. Betty used to love chatting to all the guests and regulars and both she and Anne did all the cooking and baking themselves. They employed quite a few local young people for waiting duties and were always busy doing meals at the weekend... The bar would get quite busy at the weekend with the regulars coming in to play pool or darts or just for a pint. They let out five bedrooms which were mainly taken by travelling salesmen. Anne and Betty used to have a barbeque every summer and on their last day before leaving in July 1998 had the final one and all the regulars came along. It must have been a sad day for Anne and Betty as they had made a lot of friends over the years. So, up until 1998, Lochanhead had been leased out as hotel. A year later, work began (apparently without permission) to change its use from a hotel to a dwelling house and the house was sold in 2002. 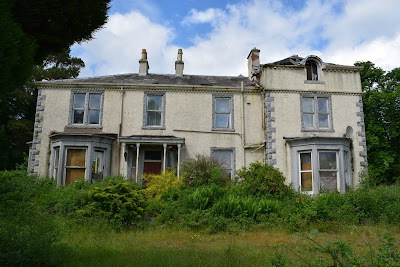 The new owner, Mrs C., lived in the house for four years and, at the time of a site visit in 2013, Lochanhead had already suffered considerable damage from "poor quality alterations and repairs"; storm damage; vandalism, and theft. 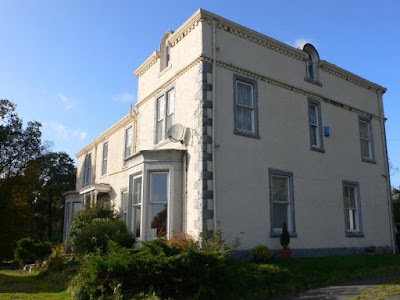 The elderly lady owner has been trying to sell the house since 2008 and, in an appeal last year, sounded in a bit of state - unable to live in the dilapidated house; unable to sell it; unable to get a grant to repair it, and living in temporary accommodation or with relatives. So. We have a house that was run as a small hotel and pub until 1999 - the owners of which moved to new bungalow in the grounds in the 1980s (presumably when Betty and Anne took over the lease). The hotel was sold to a Mrs C in 2002, who seems to have been under the impression that she'd be able to build two more houses on the land. She moved out after four years - couldn't find out why or where to - and first put it on the market in 2008. By 2011, it was still pretty spiffing looking, albeit looking rather more hotel than house. Thereafter it began to fall apart - presumably helped by being unoccupied and vulnerable (reasons to support the Scottish Empty Homes Partnership) and by Mrs C becoming older and frailer. By 2013, parts of the roof had collapsed and the house was "barely habitable". 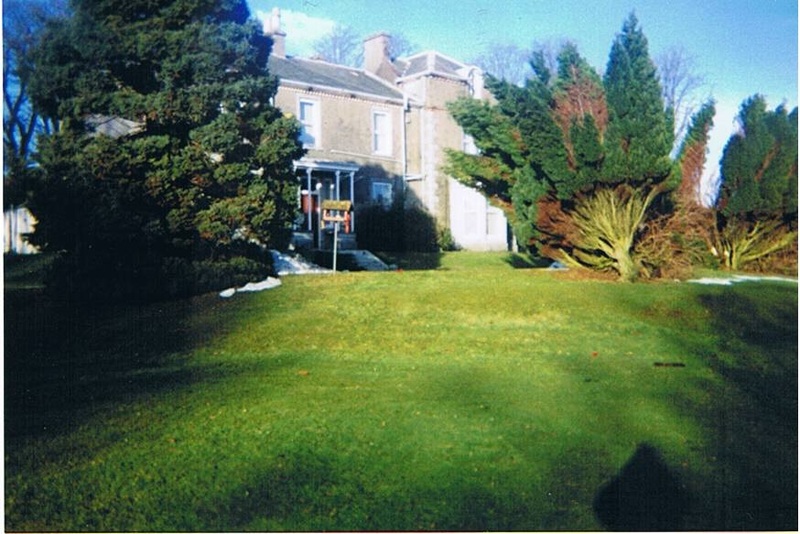 In 2014, Mrs C applied for planning permission to demolish Lochanhead and replace it - initially with five houses and then with two. Neighbours objected (including the new occupants of the hotel owners' bungalow) and the application was refused last year. An appeal was lodged and may or may not be ongoing. In the meantime, the house is back on the market as a £150k wreck. Lochanhead House is on the market through GGM&W. Details here.